You are here: HOME » News » GARDEN » The application of the carport awning. 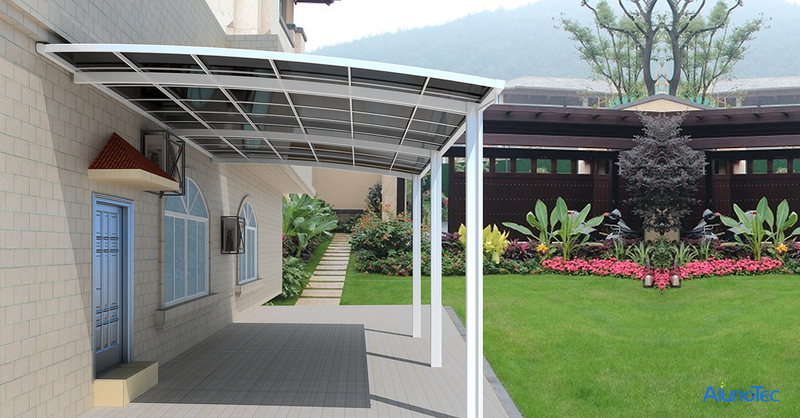 The application of polycarbonate awning is for car shading, bike shading, gazebo shading and so on. Our Carports are made to resist bad weather, protecting your car and keeping it cool in the hot summer sun. Our ready to assemble DIY carport kits make your carport installation easier and less time consuming. Alunotec offer helpful installation instructions along with expert support to answer your installing questions before, during, or after your purchase. We will help put together your custom carport kit based on your specifications. Alunotec always offer the right carport for any home or business.